The Best Alternative to InfoPath! 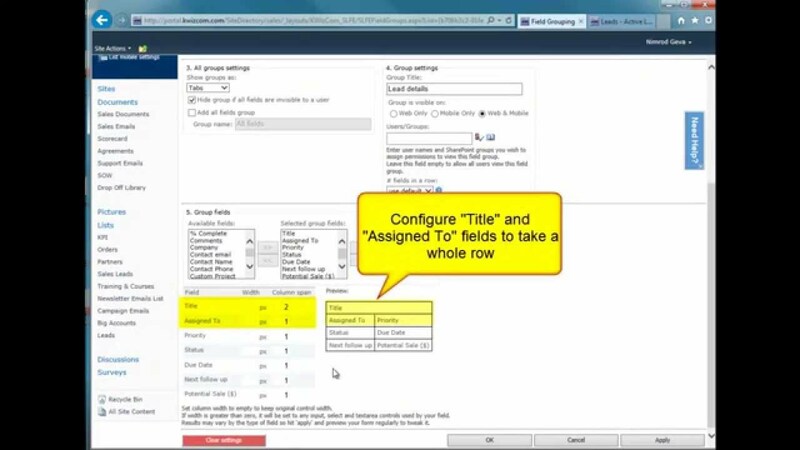 True SharePoint-native Forms & Workflow solution, designed for non-technical business-users! No need to hire expensive service providers to develop forms for your organization. 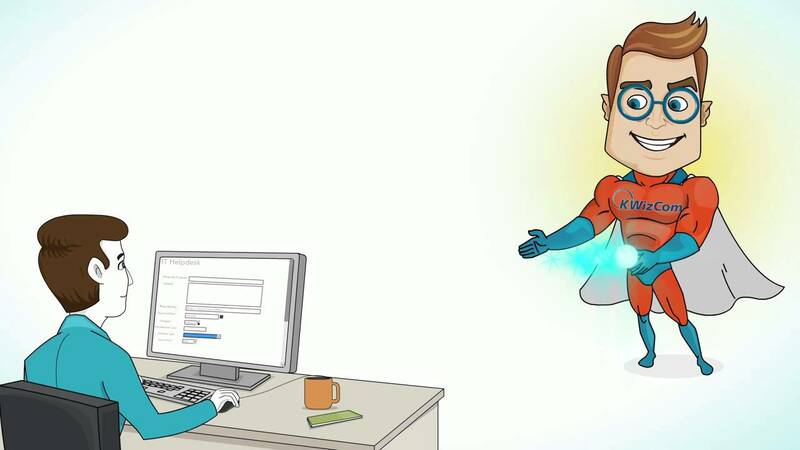 Easily create your own dynamic and smart SharePoint forms! Who says you need to be a power-user to create dynamic forms? KWizCom Forms is the ONLY forms solution that is specifically designed for non-technical end-users, allowing business users to effortlessly create powerful, flexible web and mobile forms. This revolutionary add-on enhances SharePoint’s existing list forms and does not replace it by proprietary custom forms (such as InfoPath, for example). This means that you continue to use the good old SharePoint lists without any need to learn and deploy new and complex external forms technology. Why rely on "Forms Experts" to create sophisticated forms for your organization? Effortlessly create dynamic, powerful forms and eliminate the bottleneck that was created in your company by having the "forms experts" develop the forms for your entire team. 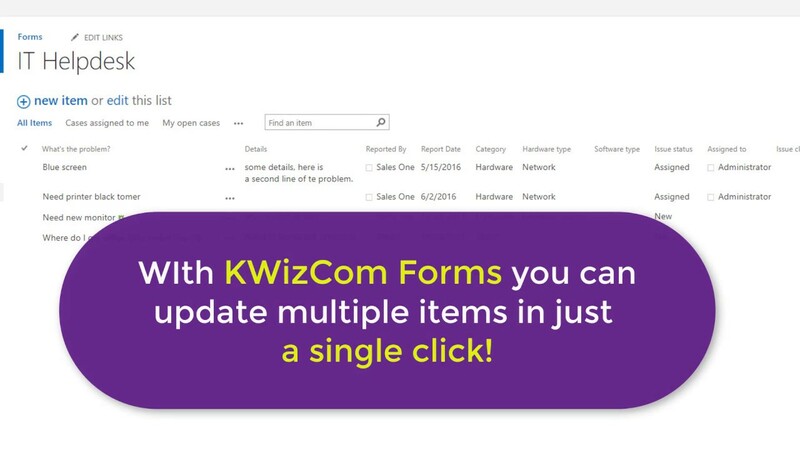 Same familiar SharePoint list forms, so no new technology and UI to learn!KWizCom Forms builds on the native SharePoint forms instead of replacing them. Imagine you can create powerful forms without having to teach your end-users how to use any new Forms technology! Your end-users will keep using the same familiar SharePoint forms "on steroids". 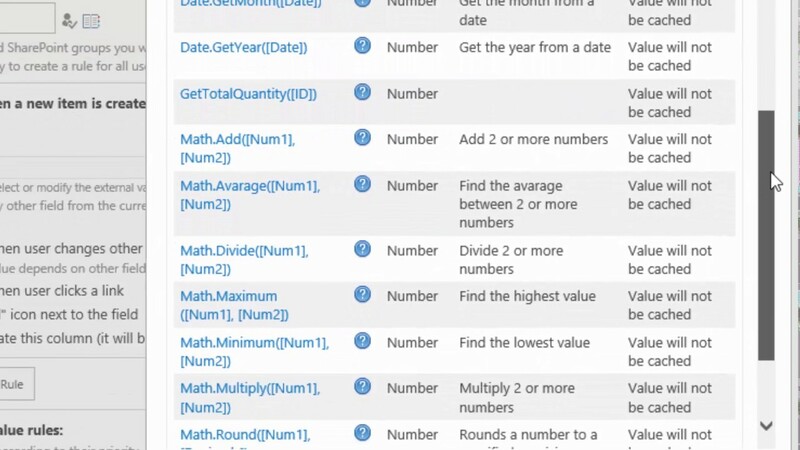 Save a lot of time on creating new formsyour list forms already exist, just enhance them! No need to design, implement and deploy new forms. With KWizCom Forms you simply use your existing SharePoint list forms and add the required web form logic and enhancements in no time! Support ALL SharePoint column typesUnlike proprietary Forms solutions (such as InfoPath for example) that support only a fixed set of controls, KWizCom Forms supports all SharePoint columns, so if it works with SharePoint, it will also work with KWizCom Forms! Support custom columns (including those bought from other vendors! )You got also custom columns that you have developed or purchased? That's not a problem, you can use these custom columns with KWizCom Forms! Keep the same look & feel as your portal, no separate design required!Since we are using the same SharePoint list forms, there are no separate forms to design...your forms automatically keep your portal's look & feel. 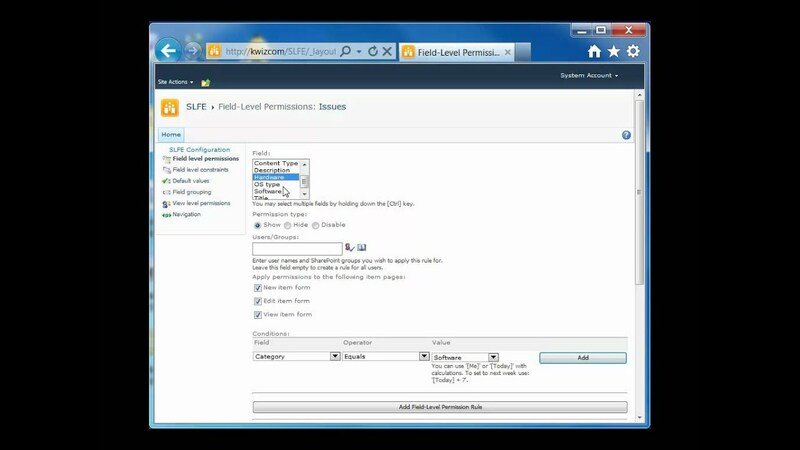 Same forms for web and mobileNeed your forms to work also on mobile devices? With KWizCom Forms (Enterprise edition) you design your forms once for web and mobile! Support client-side events. True client-side logic (dependency between form fields) can be deployed with no postbacks! Custom Actions - Implement Business Use-Cases, Without Messing With Complex Workflows!